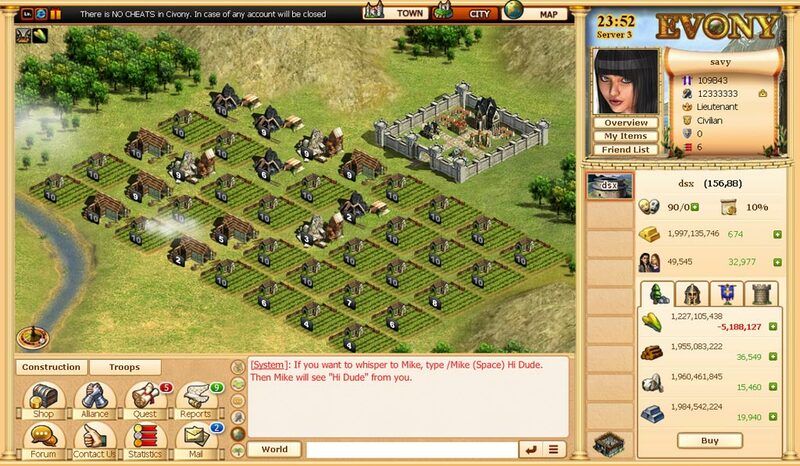 Evony is famous in equal parts by the quality of the genre that it represents – free-to-play strategy MMO game – and the controversy surrounding the advertisements that showed attractive women with little clothes on. 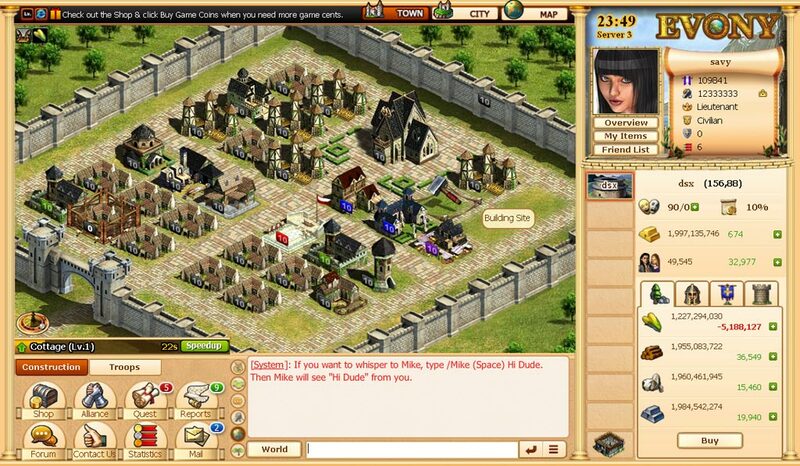 Although they weren’t part of the game, the campaign actually worked extremely well and Evony soon became flooded with players, even if a large part didn’t even know they were entering a medieval-themed game. Those times are now in the past and Evony has to stand out for what it is – a good strategy game for players who aren’t yet tired of the city-building genre. The player has to maintain the population happy while keeping an eye in the resources and developing the city. It’s not an easy task, but Evony has plenty of quests to keep us occupied. One thing that will divide players and that is often used in games such as this is the waiting time for buildings to be constructed or improved. 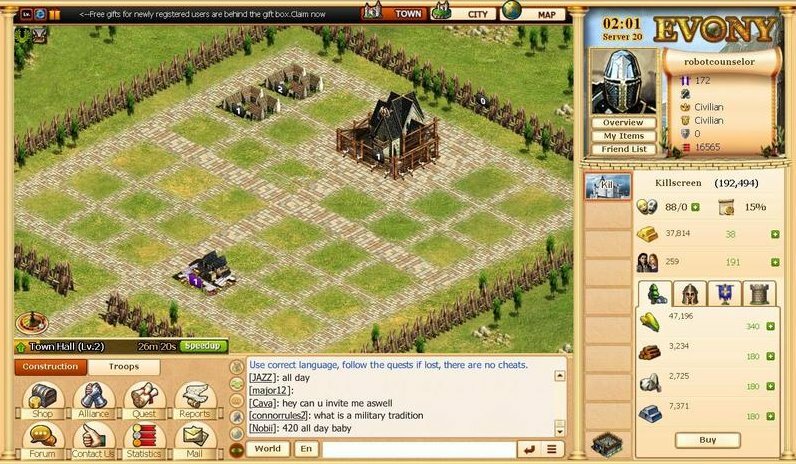 At some points, players have to wait several hours to see their construction finished and this is where the monetization for games such as Evony, Travian or Caesary kicks in. Spending real money will speed up the construction and give those players a serious edge over the competition. It’s a choice that severely unbalances gameplay, so be warned. Evony is a clean and simple game, somewhat addictive but with serious balance issues. It’s also one of many games using the same template, only changing the theme. Try it and see if it works for you – but be careful with that wallet.